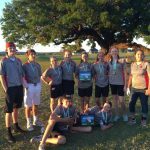 JH Golf finished very well in the Lampasas Golf Tournament hosted April 21st. The Girls won the Tournament with a team score of 212. The Boys finished a close 2nd with a team score of 212. Congratulations to both teams. 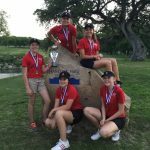 Next Tournament will be on 4/28 in Burnet at Delaware Springs Golf Course. Congratulations to our Boys and Girls JH Golf teams for both winning the first tournament of the year in Kingsland at Legends Golf Course. The boys shot 191 and girls shot 221.